Phew! 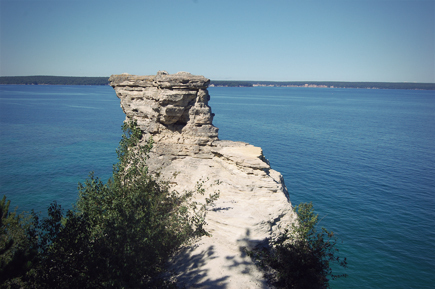 It has been an amazing day at the Pictured Rocks National Lakeshore! We woke up this morning, ate breakfast and headed down to the visitor center! We grabbed a few maps on the trails and all of the waterfalls and headed down to the lakeshore before our ship left at 12:30 PM. 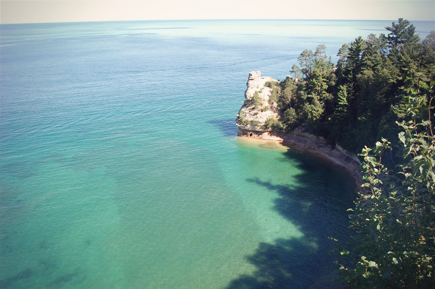 We first went to Miners Castle because it was a short hike and very accessible by car. It's the most famous of the rock formations. 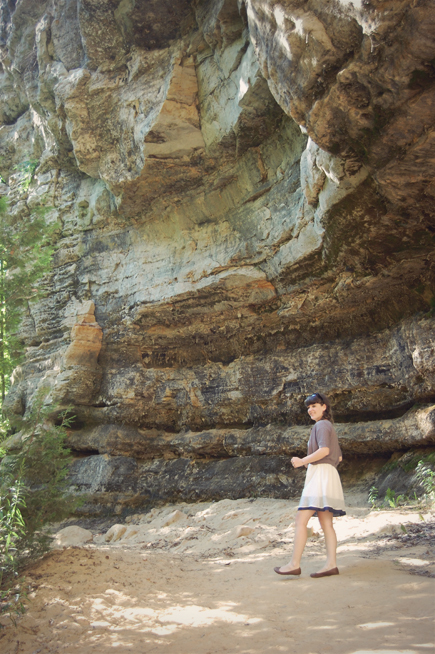 Erosion over long periods of time cause these rock formations! 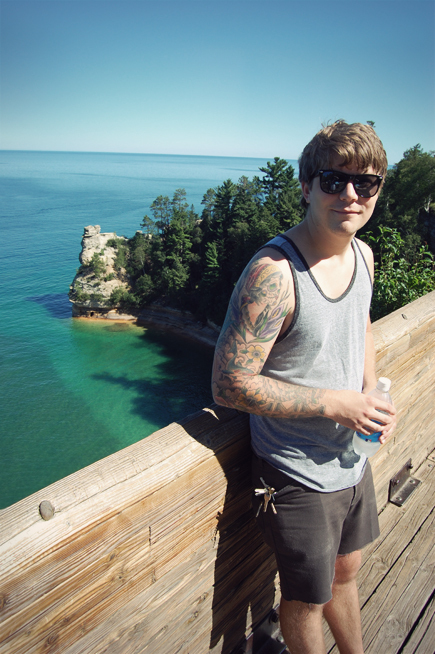 The water was so green and so gorgeous! The hiking trail to get here was super easy. 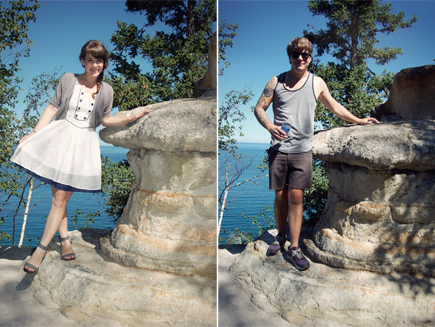 Brett was picking on me saying I'm probably the only person to wear a dress like this while hiking trails. It was so comfortable though! I absolutely loved this dress. I saved it in my closet for a while waiting for this trip. It worked out perfect for today! I haven't done much posting on my outfits this weekend. Most of the clothes I've worn are repeats of previous posts, just mixed in a new way! Plus, it's been fun because you guys get a sense of how I re-wear clothes when I'm not posting outfit posts! After Miners Castle, we hiked the 1.2 mile round trip hike over to Miners Falls. The trail was gravel and super quick to get down to. The Miners River drops about 50 feet over this sandstone, creating this gorgeous waterfall! They closed the pathway so you couldn't get down all the way to the falls, but it was so pretty to see from a distance. I absolutely love waterfalls! 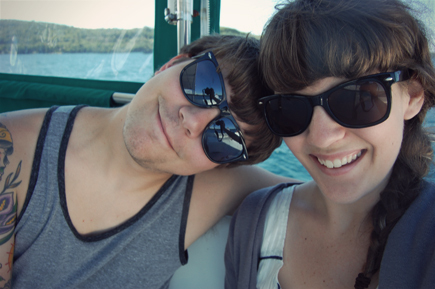 After a little bit of hiking, we boarded our shipwreck tour boat! One of our first sights to see was the East Channel Lighthouse on Grand Island. 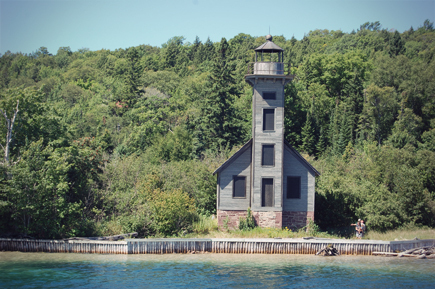 Grand Island is a very secluded island in Lake Superior. It was so exciting when our shipwreck tour boat started approaching our first shipwreck site! 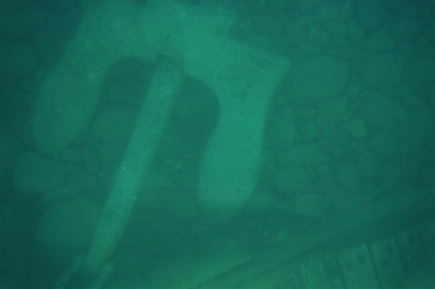 We learned that there are thousands of shipwrecks in all of the great lakes. The majority of them are located in Lake Superior - because it's much colder and more dangerous than any other great lake. This shipwreck, the Herman Hettler, was hauling 1,100 tons of bulk table salt - all dissolved in the lakes when it was shipwrecked! 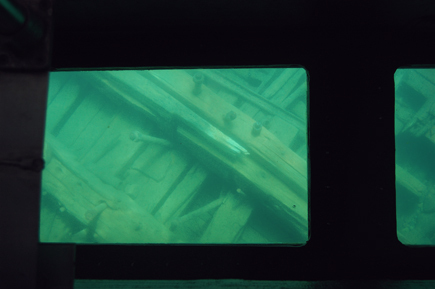 It was so amazing to look at the glass bottom to see the remains of shipwrecks! It's so crazy to think that they shipwrecked so close to shore too. Imagine how many are out at the bottom of Lake Superior! This shipwreck, the Groh, lost it's giant rutter and was helpless in giant waves and high winds. 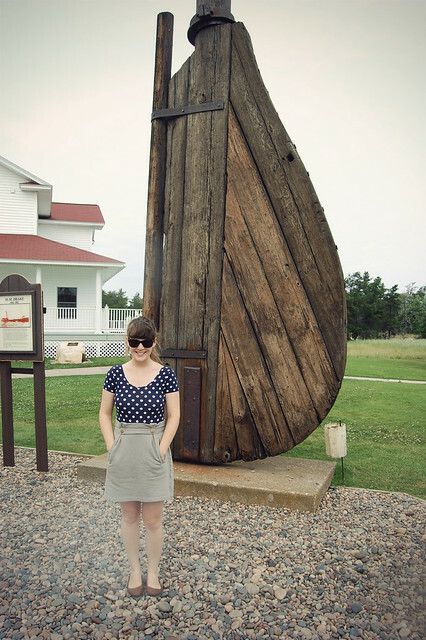 We actually saw the rutter back when we visited Whitefish Point to see the Great Lakes Shipwreck museum! After our shipwreck tour, we headed back to the hotel for a bit and went to eat dinner at Sydney's Shark Bay Bar. We both got some scrumptious burgers and decided to drive back down to the lakeshore to check out more waterfalls. We stopped to Munising Falls because it was really close to the city. 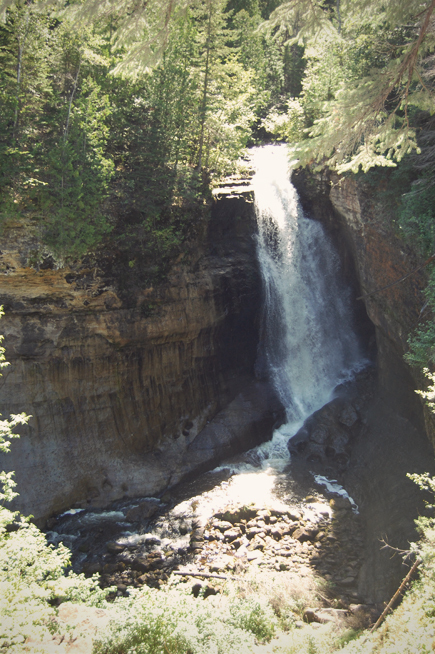 Munising Falls are about 50 feet tall, but the water flows slowly so it's a lot different than Miners Falls. In the 1980's, you used to be able to walk around the waterfall, but they closed it off recently to constrict your visit to the waterfall. 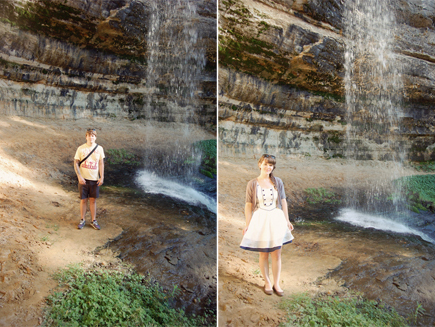 But, of course, we participated in some of our usual trespassing and hopped the wall to get close to the waterfall. It was so pretty up there! The sunset cruise of Pictured Rocks was all booked, so we got some ice-cream and headed back to the hotel to swim and soak in the hot tub. 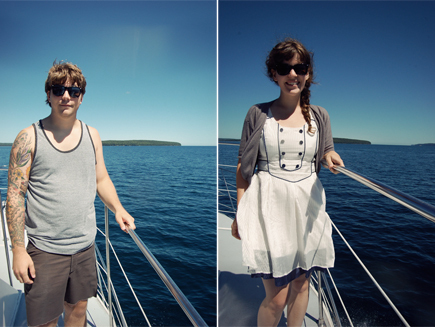 We're headed out early to catch the 10 am boat cruise of Pictured Rocks and are headed off to Marquette (thanks to a reader's suggestion, thanks Katie!) to check out black rocks and go cliff jumping! Ah, I'm going to freeze in Lake Superior's temperatures! I only got halfway into the water when we were in Paradise! Eeep!